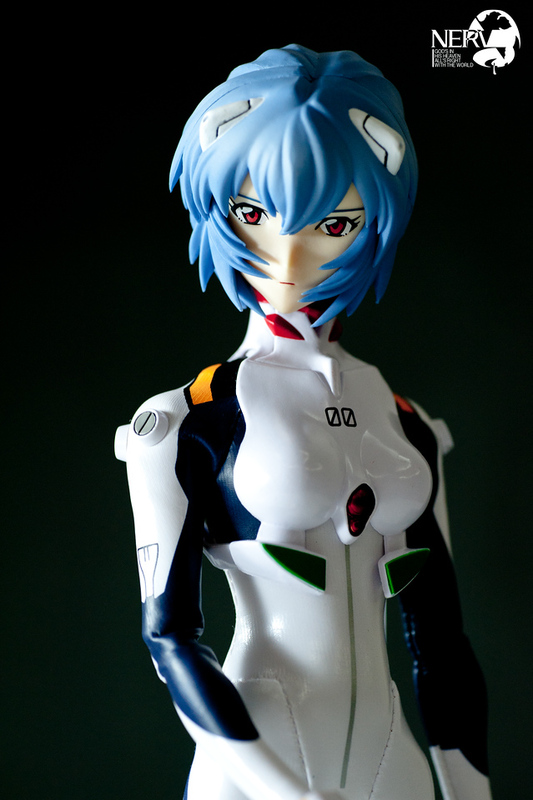 Medicom toy RAH Ayanami Rei (Evangelion 2.0) 1/6 scale. For the pass few weeks, its been raining sometimes for the whole day which is why I haven’t done any outdoor photography for a long time now. Though that doesn’t mean I’m not doing anything at all. Instead I’m taking it as an opportunity to brush up and clear out the backlog of figure shoots that’s been slowly increasing. 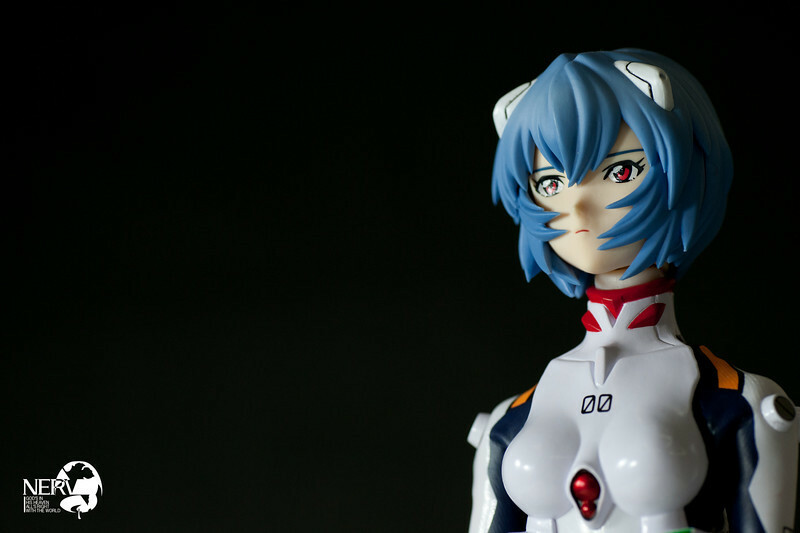 So I figured let’s try something different and shoot a posable figure this time. 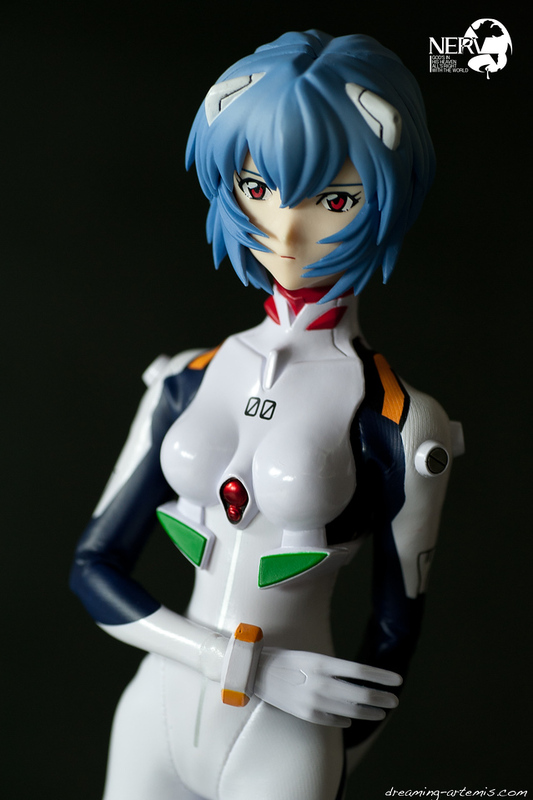 I had never really tried a posable figure except for the first few times with revoltechs and Nendoroids so I was eager to find out what I could do with a Mediacom RAH (Real Action Heroes) figure of Ayanami Rei released for Evangelion 2.0. But first, a little about the figure itself. I had picked it up from my last Japan trip in 2009 and it was not cheap but well worth the money and effort. Quality wise the workmanship is indeed good though not really great but you can’t beat the size at 1/6 scale which puts it at about 30cm or so. Though the number of of articulations are pretty restrictive. I couldn’t put it into any sitting pose due to the plugsuit hence all of the poses I used were either standing or leaning against something. 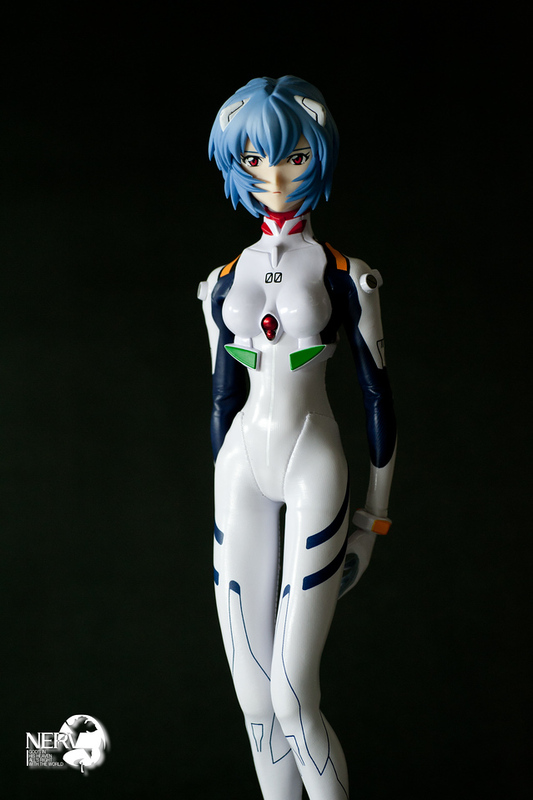 Another thing about this figure is that you cannot have it standing upright on its own unless you either use blu-tack on her feet or use the supplied stand holder. A common problems with figures. Though I still had lots of fun it. Because usually I shot with PVC static figure I didn’t have to worry about how to pose the figure except for lighting and angle but this figure really gave me a challenge since the poses were not static making it the longest shoot I have done as of yet (8 hours while on average its only 3 hours). To reduce the number of factors I had to worry about, I opt for a black background for now to study the different dynamics of this shoot. Anyway I think it went well this time. Though it would be wise for me to have had some rough rather idea in advance instead of going straight into the shoot by the seats of my pants. So what pose ideas did I use? I found that it helps to try and replicate poses shown on the box. At least until you can think up ideas of your own. Like this shot here which I copied from the front cover. This shot was troublesome because I couldn't get the exact same lighting. Though I wish I could swap out the face maybe to one where she's smiling? It would have presented even more ideas I could use. Oh well, anyway here I tried to make it look like she's brushing her hair away. Not a very good attempt but I try. 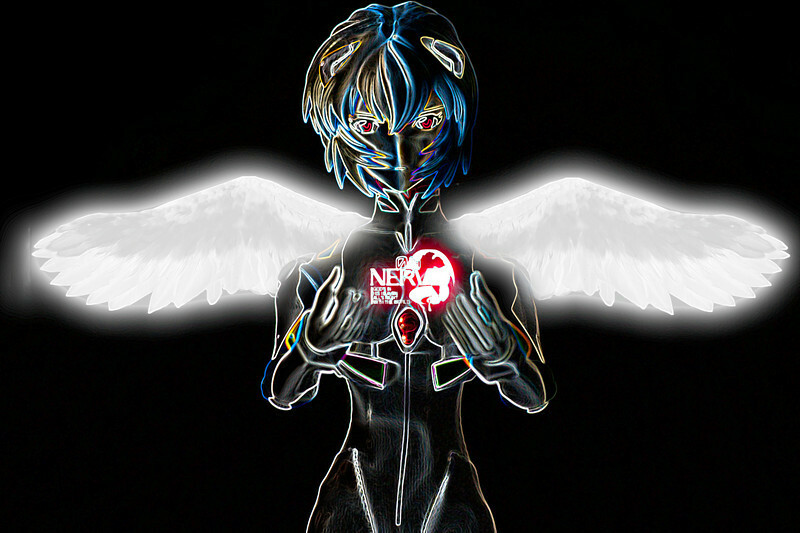 And lastly this one, the original intention was to just add some angel wings and the nerv logo in the middle but I felt that it didn't quite right because of the black background I had use. I thought about adding some more stuff to "fluff" it up but no matter what I did it just didn't work. So instead binning it, I decided to try some of the effects I've seen people do with their photos and here we have this. 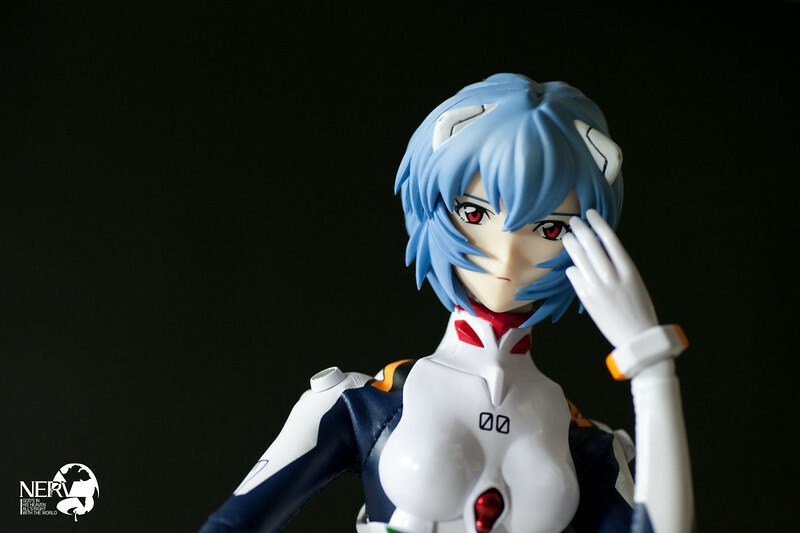 This entry was posted in anime, figurines, photography, review. Bookmark the permalink. I was always curious about this line. 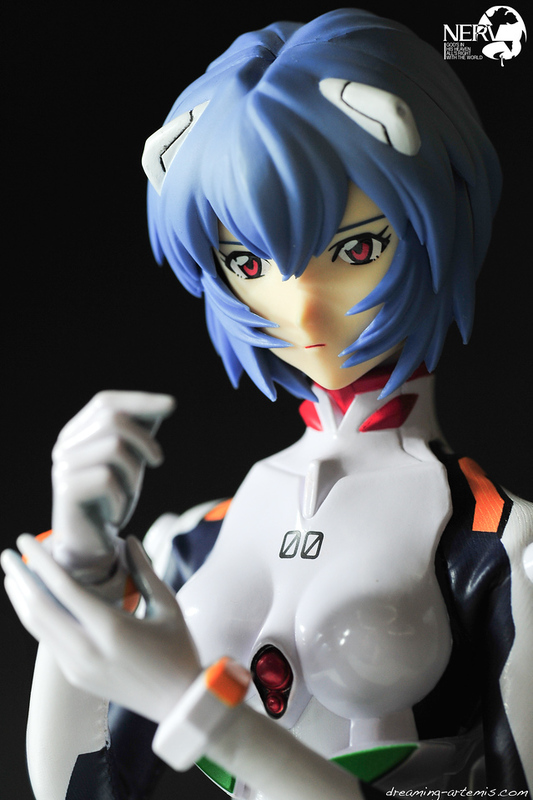 After all they are way bigger than your typical figma, revoltech, etc. More along the line of a 1/6th doll. Quite a shame though that it suffers from limited pose-ability. 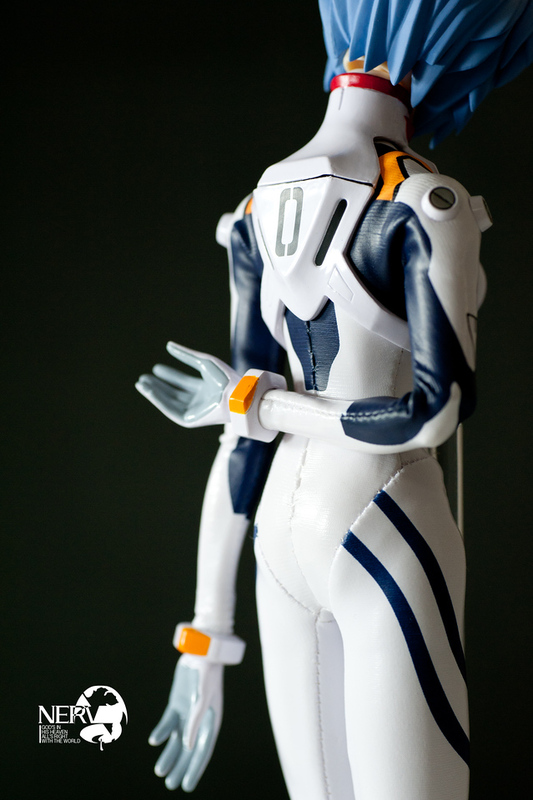 Although it is quite nice that thanks to the plug suit the joints are hidden from view. Yeah, a lot of the figures in this line seem to always consist of fully cloth characters but the detail at least are pretty good. I’ve heard of the RAH series, but I’ve never actually taken a look at any of their figures. 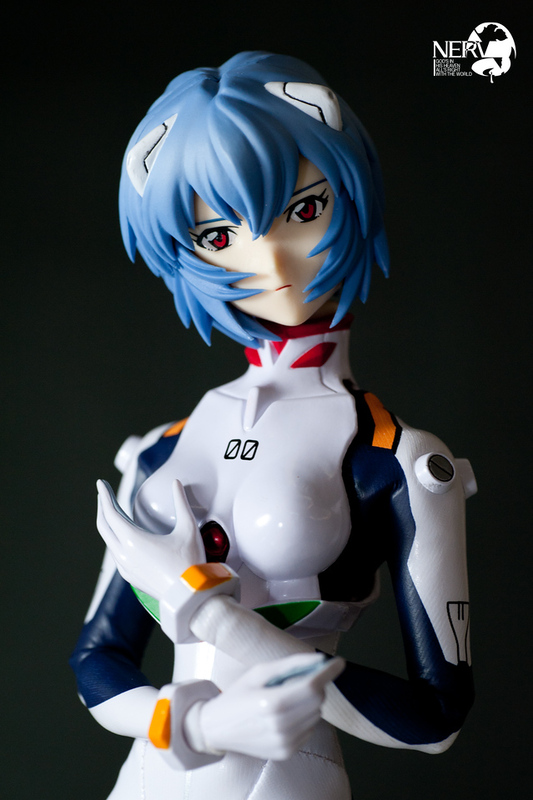 Rei looks pretty good, but I didn’t think her face looked quite right, maybe the eyes are a bit small. 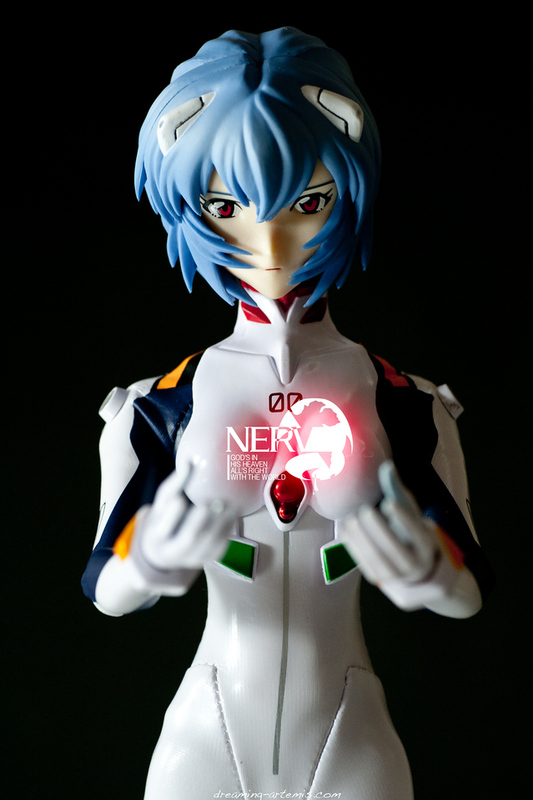 This would be my first time looking at one of these figures, and have to say the quality of Rei’s suit is really nice!